the site of exposure may be early symptoms. of consciousness could follow these symptoms. One thing I very much fear is rabies. There are several reasons for that. Mason had to take the rabies shots before I was born, a very painful process. A pet squirrel bit him. I heard a lot about that. 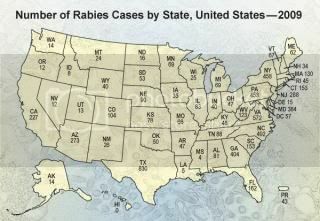 There were several rabies epidemics in our area while I was growing up. On at least two occasions, we lost 5 or 6 sheep. Since sheep was our only cash crop, and we only had about 30 - 35 ewes, that was about a 20% loss in our gross income for 2 years each time it happened. My uncle lost a horse and some hogs. Other neighbors suffered similar losses. Those were scary times. Dad and Mason took a shotgun with them to feed the sheep. At the first sign of the illness, they shot the sheep and burned the body on a pile of chestnut fence rails. I carried a baseball bat size club with me to meet the school bus. 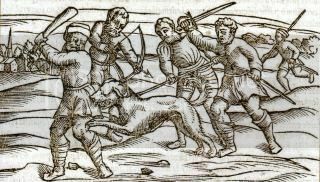 The disease was carried primarily by foxes. The state Department of Conservation even had special seminars on trapping foxes. A few years later, on June 20, 1963, West Virginia’s Centennial Anniversary, I was attacked by a rabid fox. When we went to milk that morning, we saw an unusually large, unusually dark gray fox in the pasture. We got the guns and shot at it several times without result. Its behavior was very peculiar. Seeing a fox in the open in daylight is itself peculiar. After being shot at, it trotted along a tree line, in the open pasture, for quite a distance. A fox will normally dart into the tree line immediately. It didn’t appear to be a bit wild. Three or four hours later, I heard our boar hog making a lot of noise. When I checked on him, I saw a very large, unusually dark gray fox in the pen with him - I am convinced that it was the same fox. Coming back in mid-day, and coming much closer to the house is very much unlike a fox. 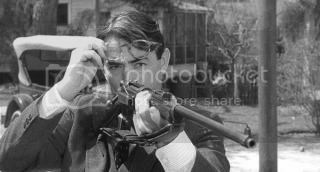 I ran and got a gun, a .25-20 Winchester lever-action rifle. When I got back, the fox was disappearing in the woods. 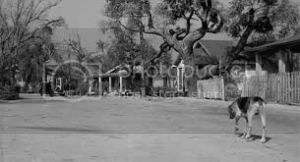 He was running parallel to the edge of the woods, about 30 - 40 feet from the edge. I ran down the tree line hoping he would stop and look back, and I would be able to get a shot. After running about 30 feet, I glanced behind me. Mom had yelled, but I cannot remember hearing her. The fox had come back at least 60 feet, crossed a rail fence, and attacked me from behind. When I first saw him, he was about 6 or 7 feet from me, charging at full speed. I didn’t even have time to get the rifle to my shoulder - just shot from the hip. I immediately followed it with a deliberately aimed shot. 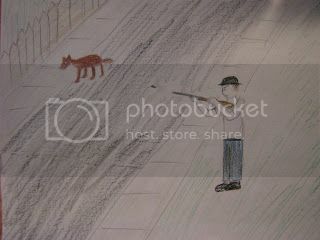 The first was enough; it hit the fox about an inch above his left eye. The second was centered in his head. By bending over, I could touch the fox with the gun barrel from where I shot. I guess that it’s no wonder that I fear rabies. 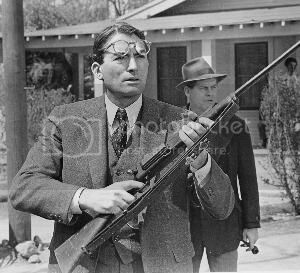 Atticus Finch shoots the rabid dog. The Center for Disease Control reports that before 1960 most rabies cases were hosted by domestic animals, but today rabies is mostly seen in wild carnivores and bats. 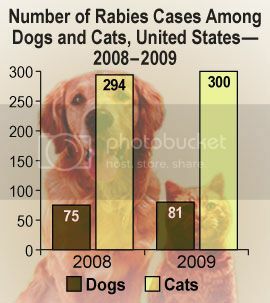 Human deaths from rabies has declined from over a 100 a year at the turn of the twentieth century to one or two by the 1990's. Death from rabies usually occurs because people are not aware of their infection and do not seek medical attention.